Fan for HP Z800 heatsink 463991-001 535588-001 HP Z400 Z600 Z800 Fan Assembly ( High Performance ) Dimension: 90x90x15mm , 4 wire, 5 pin ( Housing Female Crimps ) Tip： 463991-001 is High Performance CPU Heatsink for Hexa-Core CPU . 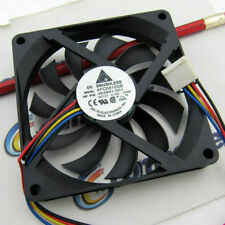 Please pay attention: There are 2 kinds Fan for Z800. The other one is 463990-001 . These two fans are not interchangeable. The fan of 463990-001 is smaller. 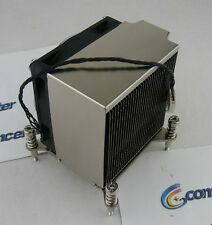 HP Z600 Z800 Workstation Processor Heatsink & Fan Assembly PN 463990-001 Used ， Working well for Quad-core CPU. 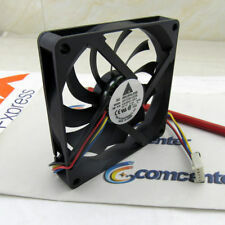 Used 463991-001 Heatsink Fan. 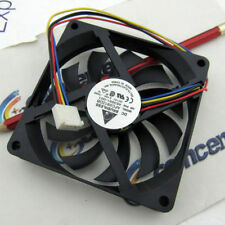 HP Z400 Z600 Z800 Fan Assembly. PN:463991-001 Only fan. Fan for HP Z800 heatsink 463991-001 535588-001 HP Z400 Z600 Z800 Fan Assembly ( High Performance ) Dimension: 90x90x15mm , 4 wire, 5 pin ( Housing Female Crimps ) Weight: 100g Tip: 463991-001 is High Performance CPU Heatsink for Hexa-Core CPU . Please pay attention: There are 2 kinds Fan for Z800. The other one is 463990-001 . These two fans are not interchangeable. The fan of 463990-001 is smaller. 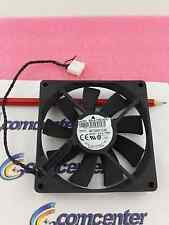 Fan for HP Z800 heatsink 463991-001 535588-001 HP Z400 Z600 Z800 Fan Assembly ( High Performance ) Tip： 463991-001 is High Performance CPU Heatsink for Hexa-Core CPU . Please pay attention: There are 2 kinds Fan for Z800. The other one is 463990-001 . These two fans are not interchangeable. The fan of 463990-001 is smaller. Fan for HP Z800 heatsink 463991-001 535588-001 HP Z400 Z600 Z800 Fan Assembly ( High Performance ) Dimension: 90x90x15mm , 4 wire, 5 pin ( Housing Female Crimps ) Tip： 463991-001 is High Performance CPU Heatsink for Hexa-Core CPU . Trending at $11.71eBay determines this price through a machine learned model of the product's sale prices within the last 90 days.